Most people are familiar with the basic wisdom tenet, “the fear of Yahweh is the beginning of wisdom.” It seems natural that if we want to think about what wisdom is and how it helps us approach the world, this is the place to start. The question is, what exactly is the fear of Yahweh and what does it mean for how we understand the world around us? In the previous post I was talking in general about the ANE worldview because there were some basic ideas about god and creation that united the various cultures of the Fertile Crescent. Still, each culture had some of its own unique characteristics. Certainly Israelite culture was the most unique of all. Unlike everyone around them, they acknowledged the existence of only one god—Yahweh. True to this perspective, by starting off with the “fear of Yahweh” we begin with a particular view of the world. This is not a world that is looked after by multiple gods and it is certainly not a world with no god. It is a world that was created by and is ruled by Yahweh. To begin with the fear of Yahweh is to begin with some very concrete assumptions about this world: why it was created, how it works, how I should live in it, and who’s in charge. The first thing to say is that God created people as the climax of creation in order to be in a relationship with them. In fact, the physical world was created as a medium for people to experience being in relationship with God. In the original creation of Gen 1, there is no obstruction between God and people and so the relationship is all good, all the time. This is very different than other ANE cultures, but I’ll leave that for a later post where I will discuss the creation account in Genesis 1. 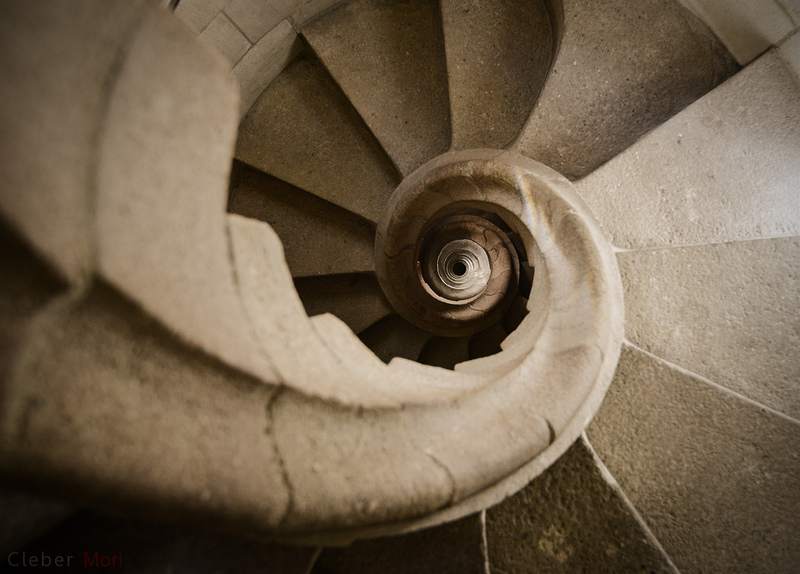 Stairs at the Sagrada Familia, Barcelona. Image credit Cleber Mori. If that’s the case, then it seems strange that the beginning of wisdom, the beginning of knowing how to fully experience the blessing of being in a relationship with God, is “the fear of Yahweh.” Fear is not generally considered a positive emotion and in the context of a relationship it suggests alienation rather than intimacy. Theologians generally put a positive spin on this by saying that this fear is really a healthy awe or respect. Maybe—but we need to dig deeper for a more nuanced understanding before we can grasp the final three implications of the fear of Yahweh. To do that, we’ll take a detour through the book of Ecclesiastes. In the book of Ecclesiastes, the preacher, or Qohelet, as we’ll call him, sets out on a road of skepticism that could be compared to Descartes’. Descartes realized that it was difficult to know for sure if he really knew all the things he thought he knew. So one day, after crawling into an oven (or so one version of the story goes), he decided to put all his knowledge to a test in order to get rid of every idea that he was not absolutely sure of. His goal was to arrive at the most fundamental knowledge that he was sure he knew without a doubt. Only this knowledge could serve as a foundation on which all of his knowledge could rest secure. Qohelet did something similar, but different. Not only did he not crawl into an oven, but as a citizen of the ANE, Qohelet started from a wisdom worldview. In a wisdom worldview, things are supposed to work reliably all the time. That includes the physical and the moral. If I lift my keyboard off my desk and let go, it should drop back down to my desk. In the same way, if I live a just life and love the Lord, then all should go well with me. But Qohelet noticed that sometimes the wise person does everything just as the creation order requires and yet his barns, full of the fruit of the harvest, burn down and send him and his family into economic hardship. In other words, the creation order doesn’t always work the way it’s supposed to work. 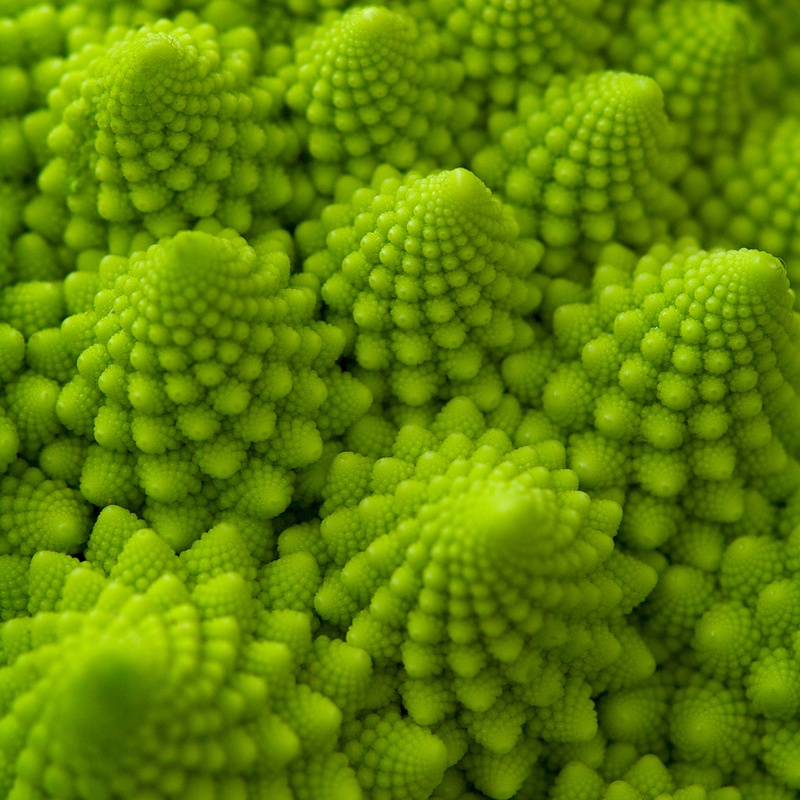 Romanesco broccoli growing in a fibonacci fractal. Image credit Paul McCoubrie. 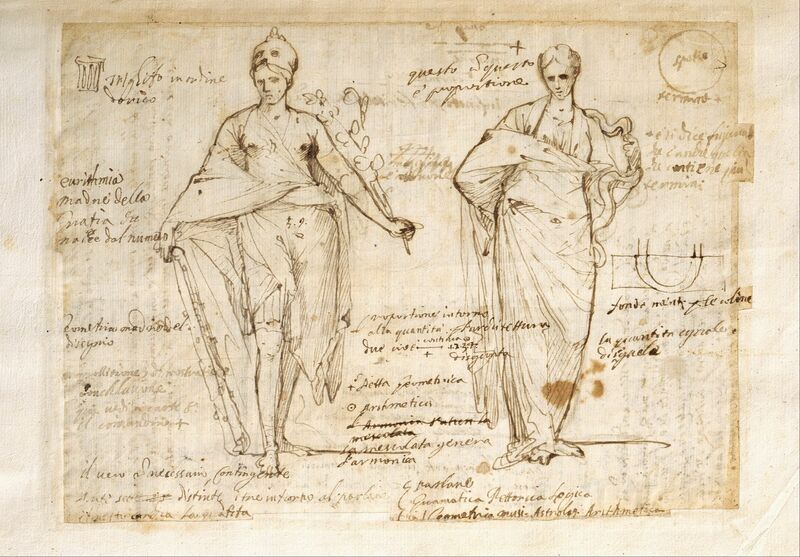 Thus while Descartes put his knowledge to the test of skepticism, Qohelet put the wisdom order of creation to the test. Qohelet is not doubting the reliability of knowledge, he’s doubting the reliability of the orderly functioning of the world. If wisdom is not 100% reliable, what good is it? 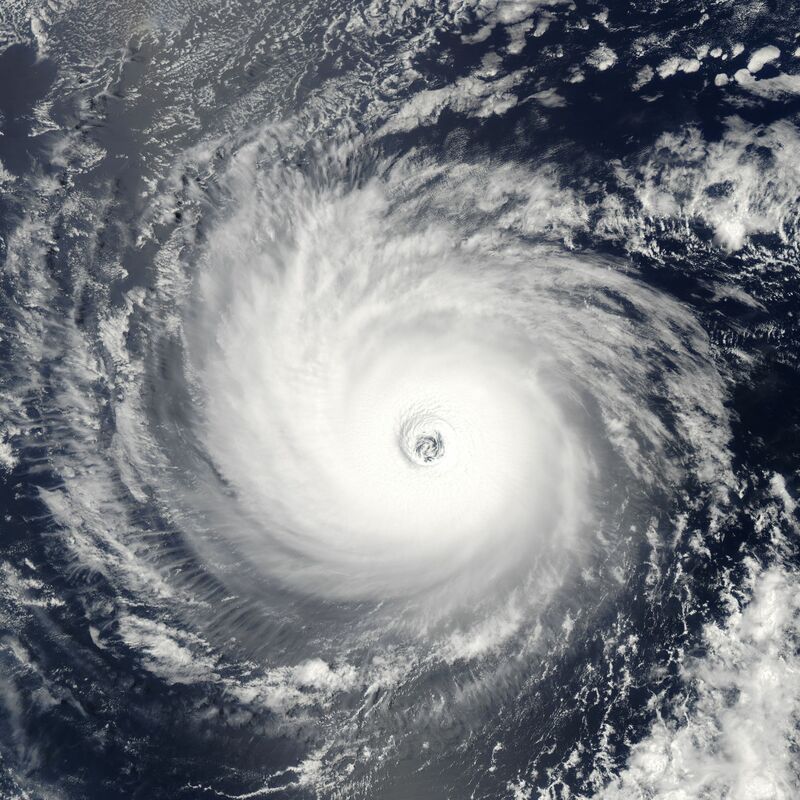 Isn’t it all just vapor, and a chasing after the wind (Eccl 1:13–14)? I applied my heart to seek and to search out by wisdom all that is done under heaven. It is an unhappy business that God has given to the children of man to be busy with. I have seen everything that is done under the sun, and behold, all is vanity [vapor] and a striving after wind. Qohelet looked to justice but he found that this failed. The righteous dies early and the wicked lives longer because of his wicked dealings (7:15). He looked to wealth and honor, and he looked to labor. Everywhere he looked it seemed that wisdom was always less than perfectly reliable. This realization rocked the foundation of his worldview. If this is really true, does the universe really function according to the Yahweh order? For Descartes, the foundation of all his knowledge was his own thinking self. For Qohelet, on the other hand, the foundation of wisdom was Yahweh. That God is there and active in his creation—that his creation order will ultimately be maintained—is the one thing Qohelet was unable to doubt. Wisdom without Yahweh is meaningless. Working hard to reap the fruit of your labor may or may not pay the expected dividends. Living a righteous life with the expectation that you will be rewarded may or may not bring satisfaction. Qohelet’s key insight is that for true wisdom, the framework must be expanded beyond what a human can grasp of wisdom. A full understanding of wisdom completely escapes human perception because it can only be surveyed from the divine vantage point. 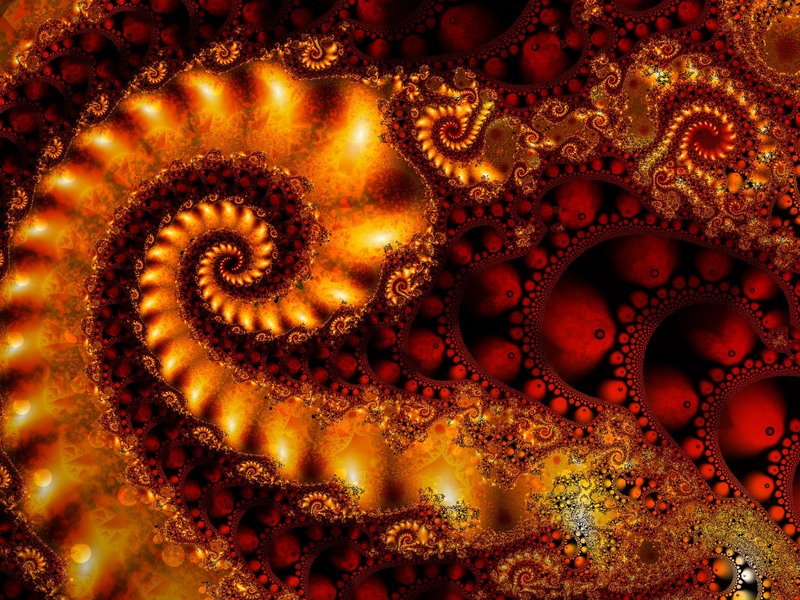 A fractal recursion. Image credit Jock Cooper, CC. When Qohelet says we need to fear God and keep his commands, his basic conclusion is that living righteously (according to God’s creation order) has ultimate meaning because even though it may not work out in this life, Yahweh is in ultimate control and he will right all wrongs. This final balance may not take place within the scope of my current vision, but it will take place, because Yahweh does see and he is in control. The second implication is that something, somewhere went wrong. People have been alienated from Yahweh and the avenues of blessing are sometimes blocked. The creation order seems to be turned on its head. And yet, it is still there, though bent and out of focus. The fact that something has gone wrong and that we’re alienated from Yahweh helps to understand the fear dimension of wisdom, but there is something more important. For Qohelet (and the Psalmist, and Job, and other places where the fear of Yahweh comes into play) the fear of Yahweh means that even though wisdom does not always seem to work, and even though, as a result, it does not seem that God is in complete control, and even though it seems like people could therefore live however they want and actually have more gain (like the unrighteous person who prolongs life through his evil deeds); even in the face of all that doubt, Qohelet still believes that God is there, that he is in control, and that he will one day put all things right. The fear of Yahweh is the belief that God is in control even when events in this world cause me to doubt. It is more than just knowledge. It is a decision to live my life according to God’s orderly plan even when it seems disadvantageous. This leads us to the final implication. No understanding of the world is complete unless it not only includes but begins with Yahweh. You cannot understand the world rightly and completely without placing it in the ultimate framework of Yahweh’s wisdom. Evangelicals sometimes struggle with a tension between science and revelation almost to the point of succumbing to dualism. For some it might be a dualism of Sunday versus the rest of the week and for some it is a dualism of the physical world versus the moral world. Science works for the physical world but revelation is for the spiritual or moral world. The wisdom worldview encourages us to resist this temptation to divide our lives into these compartments because it gives us a broader perspective to see that revelation and science come from the same matrix of Yahweh’s wisdom. Wisdom gives birth to revelation and science. Wisdom is not just human knowledge and skill for living in God’s creation. The source of wisdom is not human but divine. It is firmly founded in the character of God and it is by his wisdom that God created the universe (Proverbs 8). That is why wisdom is the matrix for both science and revelation. Science and revelation are shaped by and arise out of wisdom. The word matrix comes from the Latin word for “womb. You can see its relationship to our word “mother” in of the common letters m-t-r. A matrix is the environment that gives form and origin to something. In the next post we’ll see why this is so important as a starting point. We’ll take a look at how revelation relates to wisdom, then how science relates to wisdom, and only then, after seeing science and revelation from the vantage point of wisdom, can we get a proper perspective on their relationship one to another.